Linking on my sidebar now!! Sandie if you drop me a line with your details I will get your stamps in the post. Of course I would love you to become a regular follower but that is entirely your choice. I'm already a follower and I've posted it here. Thanks for the candy. Totally love it! I am also a follower already, will post on my blog. These are very cute thanks for the awesome chance to win. Jak~such cute stamps you have in your giveaway. Thanks for the chance of winning. Posting on my sidebar now. posted the link on my candy sidebar. thank you so much for the chance to win. I would so love to win, these are such cute images, and I don't own any of them! What a wonderful blog candy. I'd love to be with. I've linked the image in my sidebar. I just love these cute little stamps thank you so much for giving us the chance to win them. Will leave a link on my Blog Candy bar for you. Wonderful candy Jak, thank you for the chance. Hi, Jak. I'm your follower for quite some time, cause I realy admire how your simple ideas have a huge effects and your cards are so elegant. Thank you for the opportunity to win H&S stamps, I always want to have some because they are so cute. Thanks for a chance! I've been your follower for quite a time now... I've added a link to your candy in my sidebar. what wonderful candy -those stamps are beautiful. I haven't managed to get any here in the uk. Gorgeous stamps, already following and link is up, thanks for a super chance! Thank you so much for the chance of winning these little beauties! I don't have any Hangler stamps so I would be thrilled to win! Oh yes, these are sooooo cute! Would be so happy to own those Hänglars. Thanks for the chance Jak! Thanks for the chance to win such cute stamps, have to say don't as yet own any of these but would be a great way to start my collection and cross them off my wish list too. wow I am Just blown away,I really love these Hanglars but I dont have one,thanks for this cance to win. Fab candy Jak. I don't have any of these stamps as yet, but love the chance of winning some.I'm sure I could put them to good use. Going by a lot of the other comments it looks like I'm not the only one who doesn't yet own any of these cute stamps, but I'd love it if I were to win these ones! Already a follower and have posted on my sidebar... thanks for the chance to win amazing goodies. Oh my God !!! my sweet Hanglar !! Thanks for this Candy Blog ! 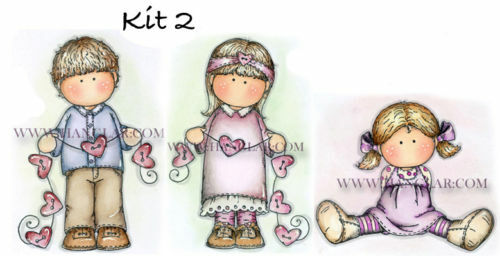 I'd love to win these little people... don't have any & they are so cute! Oh I would sure love to win these cuties here, and I´ve been a follower for a while. I don´t have a blog, but I´m in an online craftgroup and in a forum, where I have told about this, so I´m pretty sure, more will come to watch this, as we´re all crazy about these little fellows here. Thanks sooo much for the chance. Thanks for the chance to win. Have added a link to my sidebar. That is just so awesome! Love those stamps, thank you for offering your candy. Thanks for a chance at the sweet candy! I've posted in my sidebar. I love keeping up with your cardmaking ideas and love the stamps you use. The ones you are offering in the draw are super and thanks for that. How's little Jack?, I like to see what he's up to. Yumm-o, thanks Jak! I'm headed to post in my sidebar now! Thanks for the chance of winning these Jak, they are sooooo cute, u especially love the sitting girl. Will add to my wall on Facebook as i have no Blog. Thanks for a chance to win these adorable stamps but I don't have a website, a blog, a facebook thing or anything. Still, I wanted to let you know I love your site and your ideas. Unfortunately, the shipping is so costly, to Canada, that I haven't been able to order any of your beautiful sheets. Love to look at what you do though so keep up the good work. Oh... how I love hÄnglar & stÄnglar stams. They are the most beautiful stamps I ever seen! Oh WOW! I'd love to get my hands on these little darlings, they're just SO cute!! Love your work Jak. oh wow Jak these are gorgeous! Haven't had the time to do much commenting lately what with Alfie being on the move and into everything lol but I do have a sneaky peak whenever you show up on my blog update thingy!! I have been a follower for quite some time now and as I don't have any of theses stamps it would be brilliant to win these. Thank for the chance to enter the draw. I love to visit your blog and see what new things you are doing. Thanks for the chance to win. Great candy I already drop in here regularly to see your lovely creations. Of to post about your candy. Thanks so much for the chance to win it - I'm all 'linked up'!!! Love your blog Jak always fills me with inspiration. Have linked on my sidebar(http://room4craft.blogspot.com/), was already a follower. Gorgeous stamps Jak, thank you so much for the chance of winning. I haven't a blog but have spread the word to my friends on email. Thank you so much for the chance of winning of the gorgeous stamps...as you know I haven't got a blog but will also spread the word by email. hi jak, thanks so much for all your ''free'' sheets, and the latest christmas ones atr beautiful. i havent got a blog jak, and im not sure how to post this, so hope ive done it right. lol..
Super Candy Jak. I have popped a link on my sidebar. jaks there is nothin more to be said other than utterly brilliant as usual... you are such an inspiration to seasoned and new crafters.... keep up the great work! What a nice image! I really like the boy and girl holding the love string! In fact, I have an idea how to use this images! Thanks for the chance to win. Posted in my blog sidebar and become your follower. Jak what a wonderfully inspirational blog. And equally wonderful blog candy. Really appreciate the opportunity to win. Here's hoping! Wow this is the set i have always wanted!!! thankyou so much for the chance to win! I am a floower, and I have posted candy in side bar! Thanks for this, they look great! Those images look so great! I really need to lern to color them. WOW so yummy and cute. Thank you so much for the chance to win these. Awesome, wow, thanks for the chance to win. You'll find them on my side bar! I love your cards and your tutorials are amazing! I´m searching this kit for are long time and I would be happy to win it. Ya he publicado tu sorteo en la barra derecha de mi blog y haber si tengo suerte!! Thank you for wonderful candy!!! I love these H and S cuties but they are just not available to those of us who live in the US. I'm hoping that if I should win you will send internationally... I am announcing it on my Facebook and am now a follower of your blog! Thanks for the chance to win! YUM!!! I love this " calorie free " kind of candy!!!! Great set of stamps! Love them!! And you do great work with them!! Such a generous candy :)... they are adorable! I posted about it on my sidebar *fingers crossed*. What amazing candy! Thank you for the chance to win this! What an amazing candy!! I've added it to my sidebar, thanks so much for the chance to win! j'aime beaucoup vos superbes tampons ; je tente donc ma chance pour ce très joli candy blog.